Earlier this week, Apple made big news when the company, citing hate speech, removed 5 of the 6 podcasts hosted by Alex Jones of InfoWars.com. What you may not know is that, when podcasts are removed from the Apple Podcast Directory, they also automatically disappear from many other apps. 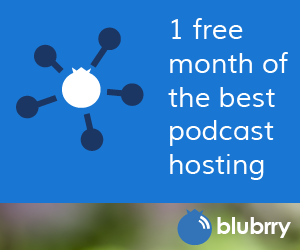 That’s because most podcast apps are powered by the Apple Podcast Directory via an Apple-controlled API. This means that the app owners don’t have to make difficult decisions about content – but it also means that they don’t have the ability to individually control the way podcasts appear on their app, or whether they appear at all. Apple does it essentially by proxy: because these apps largely do not have their own infrastructure to maintain a master list of shows, what you end up with is one entity controlling 95% of all master show listings across both iOS and Android. But while Jones’ podcasts have disappeared from most podcast apps, the show can still be found. That’s because Alex Jones actually made one smart move: he controlled his RSS feed right from the start. “It’s always the extreme cases that bring out the true power of RSS,” says Todd Cochrane, CEO of Blubrry/Rawvoice. “We advocate podcasts controlling their RSS feeds for many reasons, and this kind of event just highlights that necessity. InfoWars is an extreme show, but like it or not, it’s still on the air because they control their own RSS feed.” If their hosting provider had controlled their RSS feed like thousands of shows today they would be off the air. Sure, most podcasters don’t have such controversial shows that we’d ever have to worry about an outright ban from Apple. But any time your show is completely controlled by another entity – such as a podcast host that owns or controls your feed or Apple Podcasts account – you’re ultimately at their mercy. A change to their platform technology, algorithms, or business model, and who knows what could happen to your show? But by owning your feed and Apple Podcasts listing, at least you can ultimately control your own content and make a Plan B as the podcasting landscape continues to evolve.